Which Firefox and which Flash-version are you talking about, John? Ubuntu 8.04 LTS is now officially out! Try starting Frostwire from the konsole. What kind of errors do you get? Or even better post them here. Indeed, thank you all. Great book. Localized 2008.0 One now available! Thanks for the tip. This will make it a lot easier for a lot of Dutch folk. I'm planning on installing Fedora 8 on several systems this weekend. But I've been testing the Test-versions from day 1. Are there already some people who got codec-buddy to work? Just a bit curious. I couldn't seem to get it working in any of the Test-releases. Chris, I hate to see you go and will miss your contibrutions and craftmanship. I hope you'll find happiness. Bye Chris. Why not installing it with urpmi? 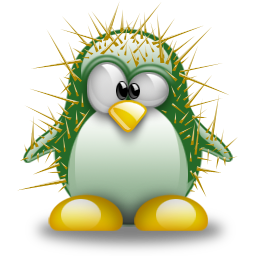 Urpmi is the package-manager used by Mandriva. A big advantage is, that all of your dependencies get resolved too. Ok, thanks. But for now I will let it be. But I will certainly try to remove it on a test-setup, but not on this rig. Thanks for the info. Thanks for your reply, Ian. But I can't find java 1.4.2. in the repo's for Mandriva 2008. I have java-1.5.0-gcj installed, also. That is besides 1.7.0. Would removing version 1.5.0 be a sensible thing to do? Hi, I installed Mandriva 2008 without a problem on one of my systems here. So far so good. Added the sources to my urpmi-configuration and installed java. To be exact, java-1.7.0icedtea and the plugin. Java works fine unde Firefox, which I checked at the sun site. But it doesn't when I try to start Eclipse. Eclipse gives me the following error: An error has occurred. See the log file /home/guldukat/.eclipse/org.eclipse.platform_3.3.0-mdv/configuration/1192401374958.log. This is what the log-file says: !SESSION 2007-10-14 18:36:14.279 ----------------------------------------------- eclipse.buildId=I20070625-1500 java.version=1.7.0 java.vendor=Sun Microsystems Inc. BootLoader constants: OS=linux, ARCH=x86, WS=gtk, NL=en_US Framework arguments: -Dgnu.gcj.runtime.VMClassLoader.library_control=never Command-line arguments: -os linux -ws gtk -arch x86 -Dgnu.gcj.runtime.VMClassLoader.library_control=never !ENTRY org.eclipse.equinox.app 2007-10-14 18:36:18.712 !MESSAGE Product org.eclipse.sdk.ide could not be found. !ENTRY org.eclipse.osgi 4 0 2007-10-14 18:36:18.810 !MESSAGE Application error !STACK 1 java.lang.RuntimeException: No application id has been found. at org.eclipse.equinox.internal.app.EclipseAppContainer.startDefaultApp(EclipseAppContainer.java:229) at org.eclipse.equinox.internal.app.EclipseAppContainer.start(EclipseAppContainer.java:92) at org.eclipse.equinox.internal.app.Activator.addingService(Activator.java:129) at org.osgi.util.tracker.ServiceTracker$Tracked.trackAdding(ServiceTracker.java:1064) at org.osgi.util.tracker.ServiceTracker$Tracked.track(ServiceTracker.java:1042) at org.osgi.util.tracker.ServiceTracker$Tracked.serviceChanged(ServiceTracker.java:967) at org.eclipse.osgi.framework.internal.core.FilteredServiceListener.serviceChanged(FilteredServiceListener.java:94) at org.eclipse.osgi.framework.internal.core.BundleContextImpl.dispatchEvent(BundleContextImpl.java:1224) at org.eclipse.osgi.framework.eventmgr.EventManager.dispatchEvent(EventManager.java:195) at org.eclipse.osgi.framework.eventmgr.ListenerQueue.dispatchEventSynchronous(ListenerQueue.java:141) at org.eclipse.osgi.framework.internal.core.Framework.publishServiceEventPrivileged(Framework.java:1603) at org.eclipse.osgi.framework.internal.core.Framework.publishServiceEvent(Framework.java:1578) at org.eclipse.osgi.framework.internal.core.ServiceRegistrationImpl.<init>(ServiceRegistrationImpl.java:103) at org.eclipse.osgi.framework.internal.core.BundleContextImpl.createServiceRegistra ion(BundleContextImpl.java:657) at org.eclipse.osgi.framework.internal.core.BundleContextImpl.registerService(BundleContextImpl.java:609) at org.eclipse.osgi.framework.internal.core.BundleContextImpl.registerService(BundleContextImpl.java:675) at org.eclipse.core.runtime.adaptor.EclipseStarter.run(EclipseStarter.java:359) at org.eclipse.core.runtime.adaptor.EclipseStarter.run(EclipseStarter.java:176) at sun.reflect.NativeMethodAccessorImpl.invoke0(Native Method) at sun.reflect.NativeMethodAccessorImpl.invoke(NativeMethodAccessorImpl.java:57) at sun.reflect.DelegatingMethodAccessorImpl.invoke(DelegatingMethodAccessorImpl.java:43) at java.lang.reflect.Method.invoke(Method.java:623) at org.eclipse.equinox.launcher.Main.invokeFramework(Main.java:504) at org.eclipse.equinox.launcher.Main.basicRun(Main.java:443) at org.eclipse.equinox.launcher.Main.run(Main.java:1169) at org.eclipse.equinox.launcher.Main.main(Main.java:1144) I still think it has something to do with Java. But I don't know exactly what. Hope one of you can help me out here. Thanks in advance.